It looks like we're finally getting a new Venom trailer tomorrow. 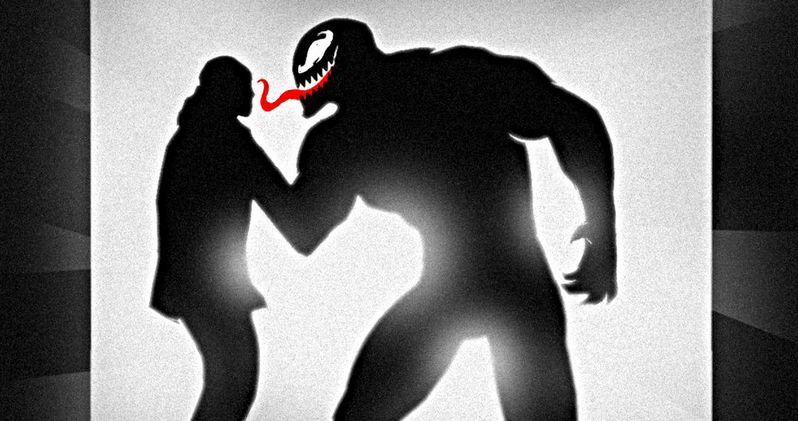 Sony made a big splash at San Diego Comic-Con this year by showcasing their upcoming comic book movie slate, which currently includes the animated Spider-Man: Into the Spider-Verse and the live-action take on the classic Spidey villain Venom, who is being positioned as an antihero for the sake of being able to center an entire movie, and quite possibly franchise, around the character. Now, it appears as though at least some of the footage showcased at SDCC will finally be making its way online for everyone to check out. The news comes from Sony China. According to some info from their various social media channels and online outlets, the new Venom trailer is coming our way tomorrow. It will drop pretty early for those who live in the states, as pointed out by Twitter user Gavin Feng, who did some digging and found the info from Sony China. "According to Sony China, a new Venom trailer will come at 9pm Jul.31 Beijing Time (6am Jul.31 PST). #Venom"
So, at the very least, we will have an international trailer available online tomorrow. But in all likelihood, this means Sony will also release the new Venom trailer on the domestic side as well. As for what we're going to see in the trailer? That's sort of up in the air, but if it's the same footage that was shown at SDCC, expect to see a lot more violence with Tom Hardy's Eddie Brock tearing bad guys up. It will undoubtedly be our best look at the movie yet. We should also be getting a look at Riz Ahmed's symbiote villain, who was confirmed to be Riot during SDCC. While it's possible that Carnage could still appear in a cameo of some sort, he's not going to be the main adversary. Sony and director Ruben Fleischer will probably plant seeds for sequels as the hope is to have this kick off a larger universe of Spider-Man spin-off comic book movies. The studio is also developing a Morbius movie with Jared Leto, Silver and Black and a potential Nightwatch movie with Spike Lee. Much of that hinges on how well Venom does. Michelle Williams, Jenny Slate and Woody Harrelson are also amongst the cast. There are still quite a few moviegoers that aren't sold on the idea of this Venom solo movie so there is a good deal of pressure on this new footage to deliver the goods. The movie is set to arrive in theaters on October 5. We'll be sure to bring you the trailer tomorrow as soon as it's made available online, so be sure to check back with us. For now, you can check out Gavin Feng's Twitter post for yourself below, which comes complete with a cool Chinese poster for Venom to tide you over until the trailer arrives.